While agents, salespeople, and the rest of the company have the satisfaction of customers to take care of, we in HR have that of our companies’ employees. And to gauge how we’re doing, we conduct employee satisfaction surveys; we measure our workforce’s happiness with their current job and workplace conditions. It’s the tried and tested way of nipping employee complaints in the bud, as well as of knowing what else we can do to drive performance and reduce turnover. Recently, experts have even come to agree that employee satisfaction surveys can do more than predict attrition and uncover the reasons behind underperformance. 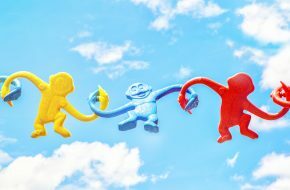 It turns out that satisfaction ratings can also reveal employee engagement, or the willingness to go beyond one’s job description in order to help the company succeed at its goals. Typically, satisfaction surveys include questions that reveal employees’ level of contentment with their work environment, company culture, and compensation. But more focus has been found in getting survey participants to rate and talk about benefit programs and work-life balance. With the rise of millennial workers and the growing popularity of Silicon Valley’s work culture, attention has shifted from measuring how employees perceive work enablers (i.e. the basic things needed by employees to perform their tasks) to knowing how they appreciate perks, which ranges from things that give them extra flexibility and enjoyment at work (flexitime, work-from-home options, free food) to offerings that add value to their personal lives (a great HMO, pet insurance, volunteer programs). Asking employees how satisfied they are with their jobs has also come to mean digging information on what else your company can offer to make them exceed expectations and stay. Which comes as no surprise. Research has shown how satisfied employees are highly likely to be engaged employees, too. One study notes: “Few people are willing to go the extra mile for their employer unless they are fundamentally happy in their jobs.” Scoring high on satisfaction and engagement means that your employees don’t just put their heart to work; they also don’t mind going the extra mile to help the company achieve its goals. It means that they are at least 22% more productive, or so says a study by Gallup. The implications of high satisfaction and engagement extend to how the well your workers perform their tasks as well as to their personal lives. Harvard Business Review tells us that engagement — which, as we’ve come to prove, almost always translates to satisfaction — can do wonders by improving the quality of work and even health of your employees. What makes a good employee satisfaction survey? A lot of companies conduct employee satisfaction surveys at least once a year, but only a few of them realize that there’s more to the activity than putting together a bunch well-written questions. It’s also about the execution. How employees are asked to answer the questions you prepared, how they’re feeling while taking the survey — these things are equally important to manage. People Pulse gives us some tips on how we can ace and therefore make the most of our employee satisfaction surveys. Make sure your employees feel safe, supported, comfortable and respected throughout the feedback process. Keep the survey short and to the point. Only ask what really matters – the content must be relevant. Too many questions can produce an overbearing amount of data leaving your management team unable to effectively analyze and implement. Check in with your employees often – if you wait too long to ask for feedback you could miss something important while it was still top of mind. (This will also help keep your surveys shorter). Once a year is no longer enough. Share a summary of your key results and promote your successes after implementing employee-led ideas. That way staff will continue to stay engaged in your future feedback initiatives. Now that we have the key things to remember in conducting employee satisfaction surveys, let’s take a look at the questions we shouldn’t miss including in our questionnaire — or, more particularly, the things we should highlight and how we should frame them. The usual practice is to present participants with statements that they can rank their level of agreement to. They can choose: Strongly Disagree, Agree, Neither Agree Nor Disagree, Disagree, and Strongly Disagree. It’s quite tedious to rate a volley of statements in a survey of this format, so it’s wise to come up with categories, topics your that statements revolve around. We looked at the employee satisfaction survey templates of 20 companies from various industries (BPO, IT, retail, telecommunications, and entertainment) to come up with our ideal list of categories and of the statements they should contain. Here’s what got. When at work, I am completely focused on my job duties. I am satisfied with my overall job security. I am able to maintain a healthy balance between work-related and personal commitments. The company is dedicated to diversity and inclusivity. My colleagues have a good working relationship. My colleagues respect my thoughts, feelings, and beliefs. I have confidence in the senior management of the company. My manager communicates clearly and frequently with me. I have enough autonomy to make decisions affecting the quality of my work. I have access to the right tools and resources to perform my best. My organization has a safe work environment. I am satisfied with my overall compensation. I am compensated fairly and according to my skills and experience. I am contented with the number of vacations that I am allowed to take. I have adequate opportunities for both personal and professional growth. I am satisfied with the opportunities I have to apply my talents and expertise. I am satisfied with the investment my organization makes in training and career development. After asking employees to rate their level of agreement to the above statements, it’s a good practice to have what we call open-ended questions, those that would encourage straightforward, meaningful, and insightful answers. Directly asking employees for their own suggestions and recommendations on how to improve the workplace — this easily gives us a laundry list of things to work on. But if your company boasts of a more transparent manner of communication, you can consider coming up with questions that mirror the way your employees talk to each other or to the higher-ups. One of the surveys that we came across with includes this interesting question: “Hypothetically, if you were to quit tomorrow, what would your reason be?” It’s blunt and bold, yes, but it leaves the impression that you’re not doing the survey just for the sake of doing it: for keeping up with a dispensable tradition or ticking an item off your task list. 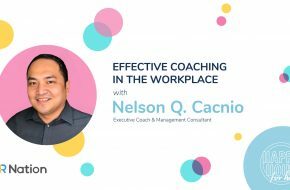 It conveys that the HR is open to receiving all sorts of answers — including and especially the most unapologetically honest ones, the answers you really need. Time and again, employee satisfaction surveys have proven to yield valuable insights and recommendations that helped stir a lot of companies toward the direction that they wanted to take. As HR leaders, it’s our role to ensure that these insights and recommendations are taken seriously; to see to it that they’re acted on in a timely and responsible manner. Conducting employee satisfaction surveys is just the first among the many steps we have to take in order to build environments, policies, and cultures that work. Committing to give your company those things demands a tremendous amount of time and effort, which, realistically speaking, you can only spare if you have the tools and the discipline that enable you to focus on the things that really matter.